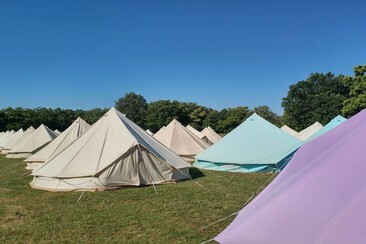 The 3-Day General Admission Ticket gives access to the festival on August 9th, 10th, and 11th 2019. The Friday Ticket grants access to the festival on August 9th 2019. 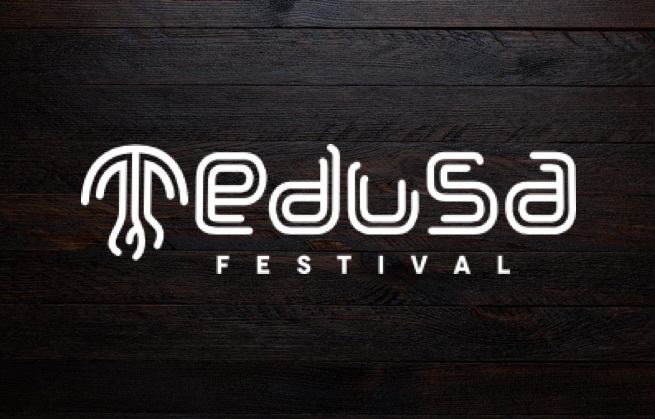 The Saturday Ticket grants access to the festival on August 10th 2019. The Sunday Ticket grants access to the festival on August 11th 2019. 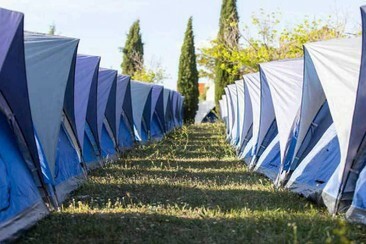 The Camping Ticket gives access to the camping area from the 7th to the 12th of August. 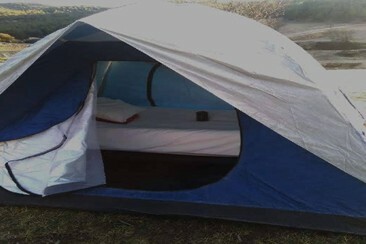 Admission ticket to the festival is not included (+18). The Friday Ticket - Upgrade Premium grants access to the festival on August 9th 2019. Admission ticket to the festival is not included (+18). To use this upgrade you need to buy the Daily General Admission Ticket. The Premium Upgrade gives access to the Premium Area and open bar on August 9th, 10th, and 11th 2019. You need to purchase a 3-Day General Admission Ticket. The Saturday Ticket - Upgrade Premium grants access to the festival on August 10th 2019. Admission ticket to the festival is not included (+18). To use this upgrade you need to buy the Daily General Admission Ticket. 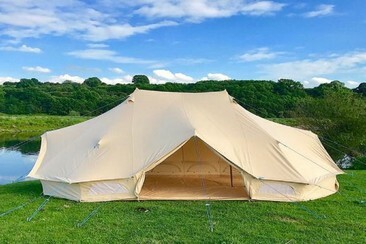 The Sunday Ticket - Upgrade Premium grants access to the festival on August 11th 2019. Admission ticket to the festival is not included (+18). To use this upgrade you need to buy the Daily General Admission Ticket. Purple Nest Hostel is located in the centre of Valencia, just 10 minutes walk from the cathedral and the bus station is around 2 km away. 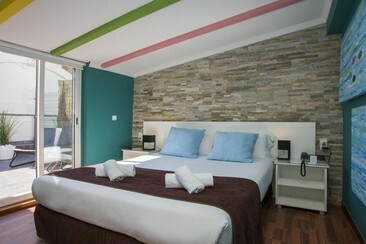 Rooms are decorated in cheerful, vibrant colours with tiled floors and original designs painted on the walls. The Purple Nest is a great base for exploring the sights of Valencia and enjoying its nightlife. Purple Nest is a really nice hostel with everything you need: bar, terrace, everyday activities, events, air conditioner, spacious common and play room when you enjoy time with friends, also has computer with internet and vending machines. 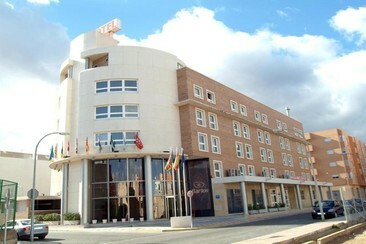 Hotel Bartos is located 20 minutes’ drive from central Valencia. Juan Carlos I Business Park is 2 minutes' drive from the Bartos and the Albufera Nature Reserve is 15 minutes' drive away. The hotel offers a fitness centre, sauna and seasonal outdoor pool. The restaurant serves Mediterranean food and looks out onto a garden with a fountain. The air-conditioned rooms at the Bartos come with free Wi-Fi, flat-screen TV, safe and minibar. Casual Valencia de las Artes is located a ten-minute walk from a metro station and one kilometre from the Mestalla Valencia CF stadium. Valencia Port and the beach are 3 km away, while Valencia Airport is a 20-minute drive away. 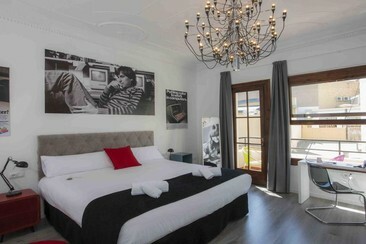 The rooms decorated with classic and modern art feature free Wi-Fi, flat-screens, mini bars, air-conditioning and en-suite bathrooms with free toiletries. Casual Valencia del Cine is located in four-minute walk from Plaza de Toros de Valencia, five-minute walk from a metro station, an 11-minute walk from Valencia Cathedral and seven kilometres from the nearest beach. Valencia North Train Station is within 250 m. Regular airport buses leave from a bus stop located just 100 m away. 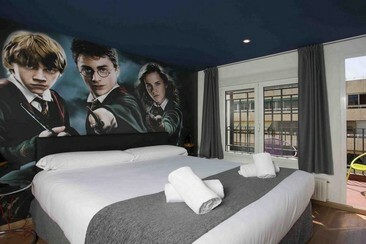 The rooms feature flat-screen TVs, air-conditioning, and en-suite bathrooms with free toiletries. Located in Valencia City Centre, the Casual Valencia Vintage is steps from Teatro Rialto Filmoteca and Plaza del Ayuntamiento. Silk Exchange and Central Market are also within 10 minutes. Colon Station is 6 minutes by foot and Xativa Station is 6 minutes. Valencia Airport is 9 km from the property. 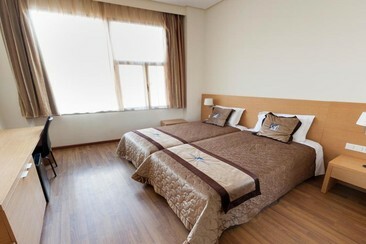 All rooms offer free WiFi and flat-screen TVs with satellite channels, phones, desks, and free toiletries. The hotel Cullera Holiday is located 3 minutes by foot from the beach, and 35 minutes by car from the city of Valencia. Cullera Holiday is located 2 km from the centre of Cullera, 8 minutes' drive from Albufera Natural Park. 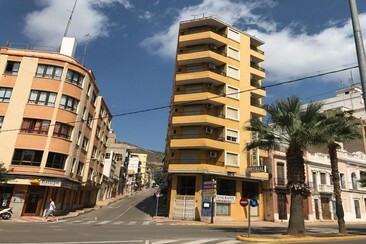 Buses to central Cullera stop outside the hotel. The 112 rooms of Hotel Cullera Holiday are fully equipped with all the commodities you might need during your stay. They have an exterior terrace, except for the bedrooms adapted for people with reduced mobility. The hotel has a swimming pool for adults with a kids' area, snack zone, a small fitness centre, sauna, game room, snack bar and restaurant. These details will help you enjoy the tranquillity of the hotel, and relax during your holidays or business trip. Return coach from Valencia, operated by Viajexpres. Includes: Return bus trip, luggage, VAT and fees, Civil Liability Insurance. Management costs not included. Return coach from Albacete, operated by Viajexpres. Includes: Return bus trip, luggage, VAT and fees, Civil Liability Insurance. Management costs not included. Return coach from Murcia, operated by Viajexpres. Includes: Return bus trip, luggage, VAT and fees, Civil Liability Insurance. Management costs not included. Return coach from Ciudad, operated by Viajexpres. Includes: Return bus trip, luggage, VAT and fees, Civil Liability Insurance. Management costs not included. Return coach from Madrid, operated by Viajexpres. Includes: Return bus trip, luggage, VAT and fees, Civil Liability Insurance. Management costs not included. Return coach from Zaragoza, operated by Viajexpres. Includes: Return bus trip, luggage, VAT and fees, Civil Liability Insurance. Management costs not included. Return coach from Barcelona, operated by Viajexpres. Includes: Return bus trip, luggage, VAT and fees, Civil Liability Insurance. Management costs not included. Return coach from Bilbao, operated by Viajexpres. Includes: Return bus trip, luggage, VAT and fees, Civil Liability Insurance. Management costs not included. Return coach from Salamanca, operated by Viajexpres. Includes: Return bus trip, luggage, VAT and fees, Civil Liability Insurance. Management costs not included. Return coach from Vigo, operated by Viajexpres. Includes: Return bus trip, luggage, VAT and fees, Civil Liability Insurance. Management costs not included. Enjoy an introductory lesson in Stand Up Paddling! The class will start with a theoretical introduction explaining basic positions before taking you out to sea. 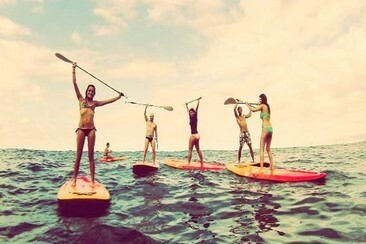 Learn and enjoy Stand Up Paddle in one of the best beaches of Spain! Enjoy an introductory experience in the world of Windsurfing! The lesson includes a brief theoretical introduction outlining the basic parts of the board and sail; after this you will go to the water and sail a few meters. Children are welcome! 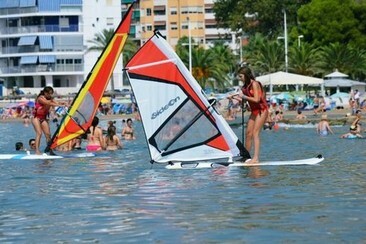 Learn and enjoy Windsurf in one of the best beaches of Spain! Medusa Festival is a dance music festival in Cullera, Spain. On the Valencian town's beach, celebrated DJs from both the mainstream and the underground join forces on a lineup packed with electronic music talent. Besides the stars of EDM, house, techno, trance and more, the festival also invests heavily in the production on display, with spectacular staging constructed on the golden sands, built around the theme for each edition. Cullera is a Spanish coastal town located around 40km to the south of Valenica. The festival takes place on the sands of the Playa de Cullera.